My coworker and I have decided to work on getting our RHCSA and RHCE certifications at work. 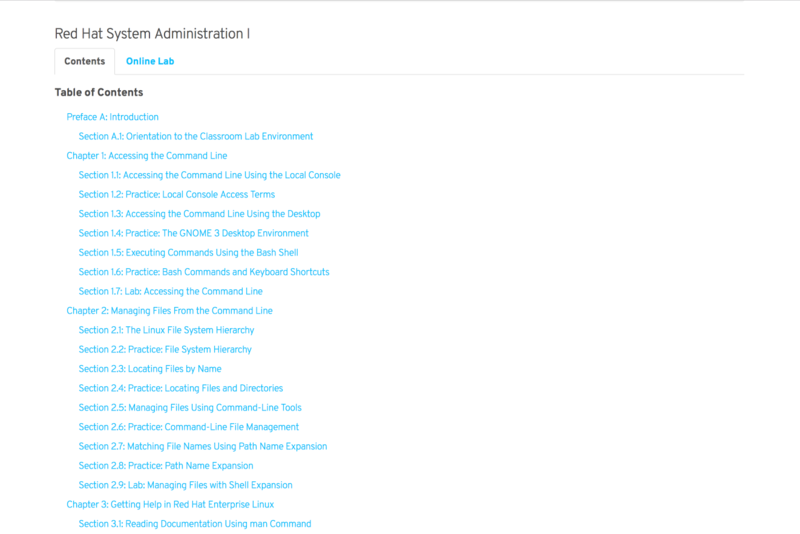 After looking at several options for training, we ended up going with Red Hat’s own option the Red Hat Learning Subscription. Having done research before signing up, I did not find any resources on the quality of the subscription or the content before I signed up, so I figured i’d make this review to allow you to have some content to look into. Once you get your access into Red Hat’s learning portal provisioned, you’ll be able to access every online course currently available in Red Hat’s library. 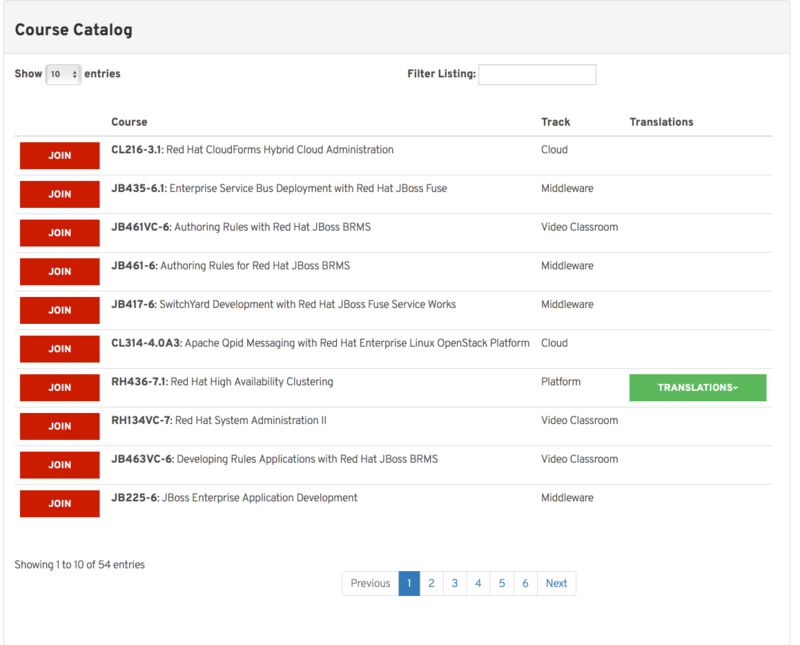 The newest way Red Hat seems to be running their training is with the video classroom courses. This pretty much is exactly like it sounds, where one of Red Hat’s instructors is going through the material normally gone through in person over the course of all the video sections. For the sake of demonstration, here’s an excerpt from one of their courses, actually the one i’m going through right now! Each chapter is broken down into their prospective sub sections, and each student is able to download a watermarked PDF of the course book to follow along with the instructor. The entire class is transcripted and searchable if you want to read along or just refresh a specific subject. The traditional courses are broken down into lecture with video, exercises, quizzes and labs. The best way I would describe the traditional class is that all of the content is there from the workbook to go through on the website. Since it’s not directly being instructed, each section has several videos ranging rom 8-15 minutes each going through the subject matter being discussed at that specific point. Each one of these approaches have their benefits, personally I am a larger fan of the video classroom variation. It is especially nice to be able to use my iPad to mark up the course book while the instructor is going through the same content. However, one benefit of having the full learning subscription is you can have both side by side, having the benefits of both. One of my favorite features of the courses are the Hands on labs. Note: There are currently two hands on lab environments, one using a VNC connection into Amazon AWS AMI images, the second being an html5 player to the labs hosted on Ravello Systems. I will be going over the Ravello Systems piece as its what all the courses are heading to. Throughout the course there are practices and Hands on Labs. The main difference between them being that practices are meant to be followed along with, the labs to be done entirely on your own. Each course provides access to a full virtualized environment in order to be able to do each of the practices and hands on labs. 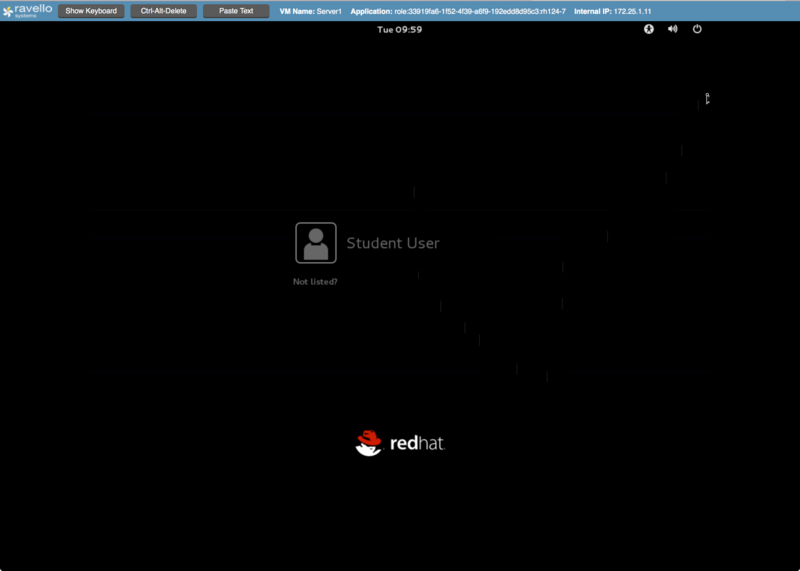 The best part in my opinion is Red Hat’s grading application. With several of the labs, there maybe components that need to be added, users to be created etc. Their lab program sets up the lab environment to be ready for the lab exercise. Upon completion, the same program can be used to grade you work and make sure that you were able to completely accomplish the tasks at hand. Since the RHCSA and RHCE tests are going to be hands on practical works, this is very useful! In conclusion, I have found the Red Hat Learning subscription to be a very good investment in studying for my certifications and growing my general knowledge. At $5500 a year, while pricey, is a significant savings from purchasing the courses one by one. You would be spending more than this to take RH124 and RH134 if your employer is sending you to them for your RHCSA. I have 11 months left, and plan to learn as much as I can! Smart choice. I went with the live classroom options for RH124 and RH134 with my own money and was extremely disappointed. Since they’re only a week long each, covering 15 chapters a class, there were a lot of gaps. 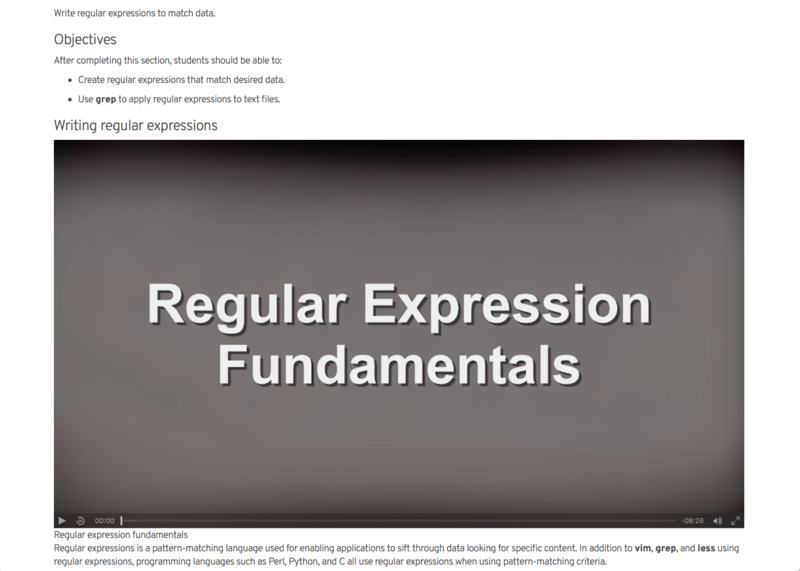 I ended up subscribing to Sander van Vugt’s RHCSA online course to fill in those gaps.